I love my stamping buddies. They are the BEST! Remember that I said I had the flu in January/February and was sick for quite awhile? 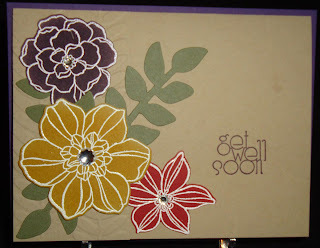 Well, the ladies in the Upscale Swap Group decided to each send me the cards that they swapped last month, even though I was too sick to stamp cards and send to them. So here are a few of the cards that I got. 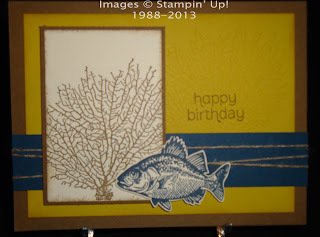 I've listed the main stamp set used on each card. 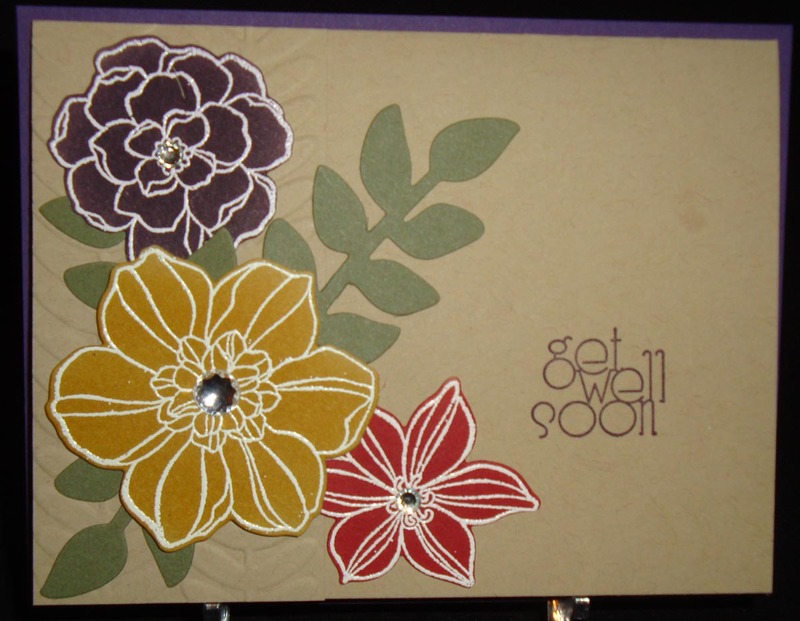 Of course, if you have any questions about how any of the cards were made, feel free to contact me! Wasn't that just the sweetest thing? It made me feel so special! It was like getting a hug in the mail. 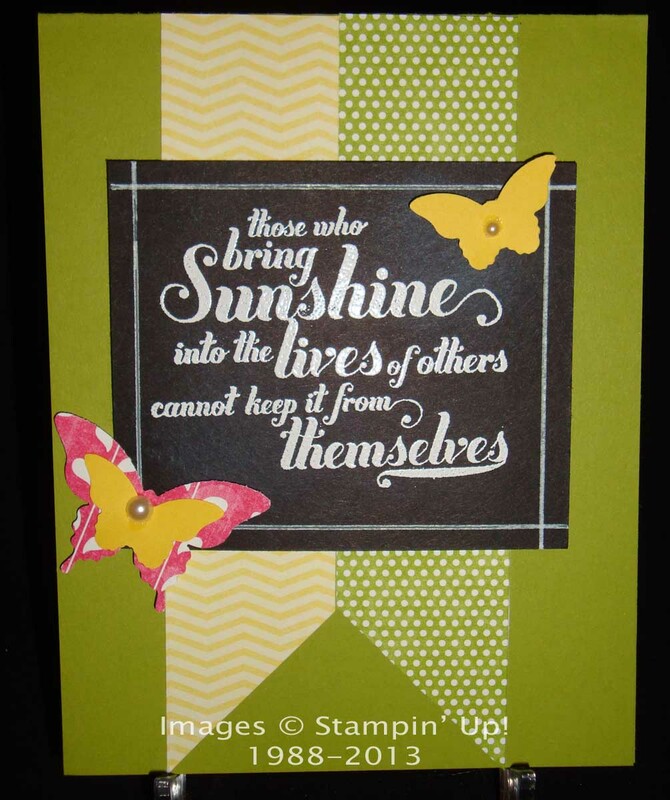 Thanks so much for playing along with our Late Night Stamper Treasure hunt by hiding a clue on your blog. 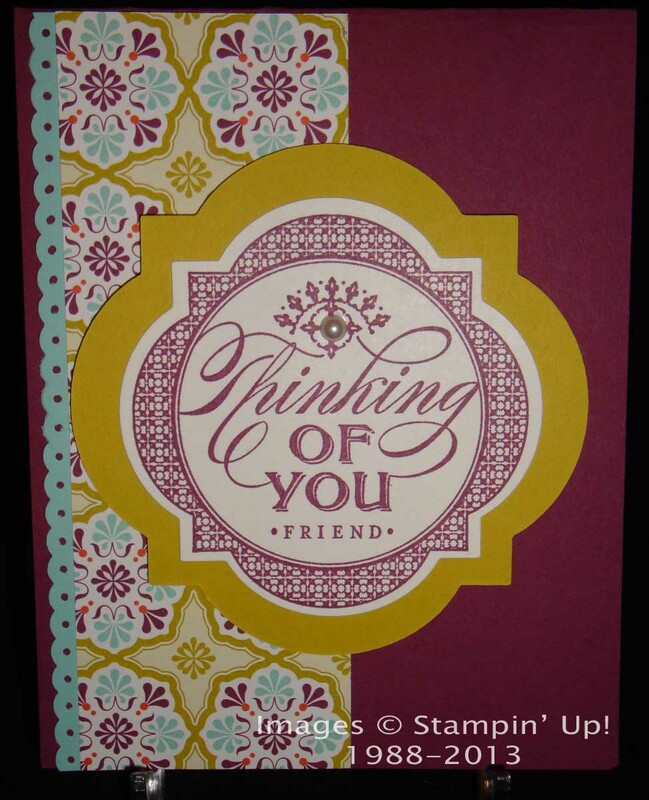 I appreciate you and all of our stampin friends who make this blog hop so much fun!